Sorry, no review today. It's Saturday almost afternoon, and I've spent the morning in bed reading. After a day of anxiety over the near loss of all my email files, I deserve it! I'm part way through a Michael Morpurgo title, which I will report on soon. Tomorrow the Victoria Children's Literature Roundtable (which I chair) will be voting on our pick for the Information Book Award. Our votes will be pooled with votes from other Roundtable votes from across Canada, and will be announced in November. I have held off reviewing any of those titles but will do once our votes are in. As well, I confess to having been distracted by Kathy Reichs Break No Bones. Yes, I have an addiction to forensic type murder mysteries, and Reich's Temple mysteries are a favourite. But, soon I'll be back to reading kids books. 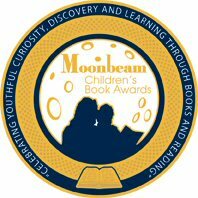 In the meantime, the Cybils Blogger Children's and YA Literary Awards for 2007 are in the works. The organizers are in search of bloggers to read read read, so if you are over 13, are a kid's book lover, and are a blogger, check them out. Alas, I'm too busy with other things at the moment so can't participate. I will definitely read the books on the short-list though.